Mt. Rainier is the crown jewel of the Pacific Northwest USA and the 700 mile long Cascade range which spans from Mt. Lassen in the south, all the way up to Southern British Columbia. On a clear day Rainier towers east of Seattle and above all the nearby towns. You cannot miss its jagged white glacier capped jagged slopes. Mt. 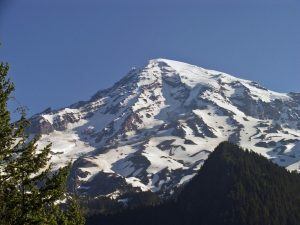 Rainier has the most snow and ice of any mountain in the lower 48 states and is the 5th highest peak in the lower 48 states. Higher up the mountain, Rainier is riddled with glaciers, crevasses, and ice seracs and as a result, it is one of the most photogenic of all the Cascade mountains. It is an absolutely beautiful looking mountain. Climbers come from all over come to test their skills and stamina on Rainier from the most common Ingraham Glacier and Disappointment Cleaver Routes to other much more challenging routes. 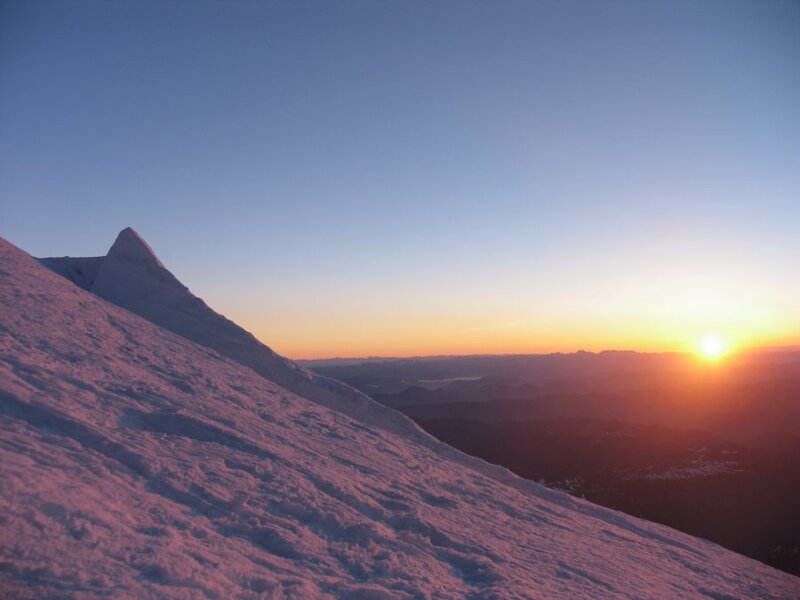 Rainier is also used as a training ground for those ambitious climbers trying to go on and climb something more technically challenging or higher in elevation such as Mt. McKinley in Alaska or Mt. Everest in Nepal. The new Paradise visitor Center is now operational and is located next to the upper Paradise parking lot. A parking lot with limited number of spaces is below the Visitor center and is available for parking your car if you plan on a multiple day summit climb. Mt. 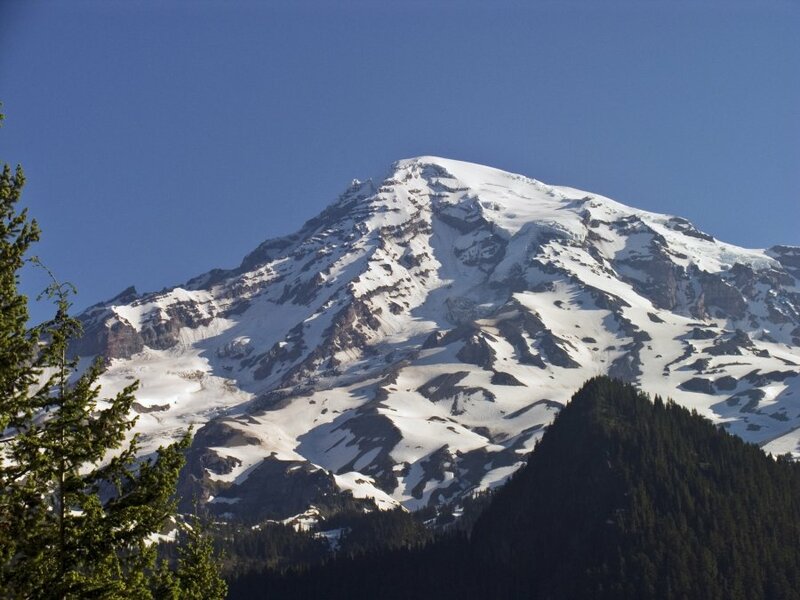 Rainier National Park is the nation’s 5th oldest, having been formed in 1899.